Fitness Clothing – How To Choose the Right One? Fitness is being taken seriously these days, considering the fact that health disorders are so much on the rise. Indulging in sporting or fitness activities need you to wear the right apparels so that you are able to maximize the effects of your workouts. There are many clothing manufacturer companies that make outfits for exercising purposes. You need to use a few essential tips in order to choose the right kind of fitness apparel for yourself. Quality is the first thing that you need to look for in your outfits. Choose clothes made of 100% high quality cotton, which can readily soak up moisture from your body. You will feel cooler and most comfortable while working out, and be able to indulge in physically strenuous activities for a longer period. The material of your dress is another thing to consider. Do not go for outfits made of materials that you are allergic to, such as synthetic or polyester. Going for materials incompatible with your body can lead to skin allergies, irritation, itchiness and other problems – especially when your body heats at the time of performing strenuous exercises. If you feel, you should order custom fitness clothing rather than going for a ready made item to ensure of your comfort. Many sport clothing companies are known for superior construction and you should only get those apparels which have excellent stitching and the perfect designs to aid in your workouts. Do not go for clothes with a poor construction, as you can be always at risk of chafing your private parts and sensitive regions such as the armpits, bust line and the groin. Choose only outfits with smooth and comfortable fabrics. By doing this, you can freely move about at the time of exercising or while performing sports activities. If you will be working out outdoors, it is best that you go for lighter colors which reflect sunlight. But if you live in a cold weather country, darker colors can trap light and heat and allow you to stay comfy while exercising outdoors. Finally, the cost of the outfits should also be a major consideration. You need to get apparels in the right prices and with low cost dresses you can save money and never have to go beyond what you should necessarily spend. 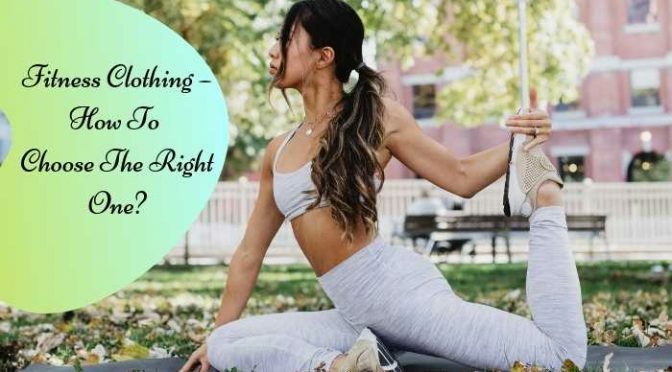 If you feel you need more than one dress, you can order from wholesale fitness apparel manufacturers and get bulk clothing for your fitness requirements. This is more applicable if you are buying for yourself as well as for other members of a team that you belong to.